8/12/10 – I interview Simon Sinek, author of “Start With Why,” about the role why plays in inspiring people. LISTEN NOW! Beginning as a student in anthropology, Simon turned his fascination with people into a career of convincing people to do what inspires them. His earliest work was in advertising, moving on to start Sinek Partners in 2002, but he suddenly lost his passion despite earning solid income. Connecting with his “Why” made all the difference. 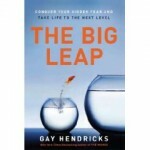 9/2/10 - Gay Hendricks: Author, Educator & President – The Hendricks Institute. LISTEN NOW! 9/16/10 – Alison Armstrong – Educating Women About Men. LISTEN NOW! I have studied and taught about male/female communication and relationship issues for nearly 15 years and Alison Armstrong, Creator of the Celebrating Men, Satisfying Women® workshop series is by far THE EXPERT on demystifying men and women. The information she shares will change your world! Not only is it powerful information for women on better appreciating men, but it helps men understand themselves better too. 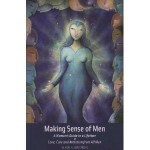 Sign up to attend a FREE Making Sense of Men seminar in your area. 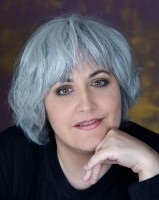 October 21st - Diane Israel – Beauty Mark – Body Image & the Race for Perfection – LISTEN NOW! Diane Israel was a very successful professional triathlete and runner for 15 years. After retiring from professional competition, she became a psychotherapist specializing in domestic violence with offenders. A recovering athletic bulimic, Diane counsels people in physical, mental and spiritual integration. She has made it her mission to provide strong support and guidance for others in the areas of body image, nutrition and rekindling life’s passions and direction. A note from Diane – “Frustrated and exhausted by our culture’s fixation with thinness and external beauty, I set out on a mission to understand this mania. After years of being a very driven and compulsive athlete, this became my new obsession. I wondered what our world would be like if all the energy and time we spent seeking fulfillment outside ourselves was turned toward helping others. Were there others who felt the way I did? With the guidance and support of my childhood neighbor, Carla Precht (who became my Co-Director), and other crew members, I was forced to see that I had to be willing to tell my own story if anyone would believe our film. I never imagined that my life would become a central thread to this story. With this film I hope to encourage each of you to ask yourself ‘what is my unique beauty?’ I am learning that when we begin to live our own Uniqueness, that is Beauty Mark!” Click here to go to www.beautymarkmovie.com Beauty Mark is for anyone who has ever felt invisible because they didn’t conform to our culture’s impossible, unhealthy, abnormal beauty standards. The film examines popular culture’s toxic emphasis on weight and looks through the eyes of Boulder-based psychotherapist and former world-class triathlete Diane Israel, who tells her own story while interviewing other champion athletes, body builders, fashion models and inner-city teens about their experiences relating to self-image. November 4th - Robert S. Tipton – Jump! – Get Unstuck - Extraordinary Life Breakthroughs Using Innovative Change – LISTEN NOW! 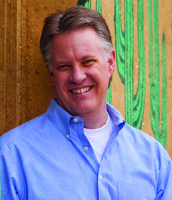 Robert Tipton is an expert in innovative change management solutions, and has developed the JUMP! Innovative Change Model™ over the past several years while helping individuals, teams and entire organziations get unstuck, get moving, and create sustainable change. JUMP! brings together the principles of quantum physics, ancient philosoply, spiritual practices and sound leadership in a a two-part book. Part good-old story telling (the fable), and part consulting tools (the model), JUMP! is chocked full of innovative, practical tools and advice on how to successfully manage your life, career, and organizational change. The leadership fable in JUMP! is a composite of many of JUMP!-related projects and clients—designed to show the model “in action.” Real clients get testy about sharing the details of their situations, so the fable is a made-up story, but one steeped in real-life wisdom. The process model in JUMP! is a high-level, yet comprehensive depiction of the actual consulting practices and tools used in the JUMP! Innovative Change Model™. The fable? Right-brainers love it. The process model? Left-brain heaven. 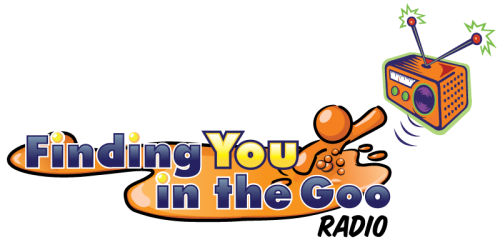 Click here to go to www.ourjump.com for more on how you can get unstuck! January 13th, 2011 – Purpose: The ‘Do Not Pass Go’ Key to Your Success in The New Conscious Economy with Lissa Boles – LISTEN NOW! The originator of The Soul Map™, Lissa Boles is the founder and CEO of Soul Full Filled Living, a company dedicated to helping service-based entrepreneurs discover their life’s purpose and the one-of-a-kind path to getting paid well for their passions by being who they already are: the ones we’ve been waiting for. Wise & deeply skilled at connecting the dots in life – and making the mysterious magically make sense – veteran Purpose Coach Lissa Boles breaths fresh new life into the ancient art of astrology. Her contemporary take on it – called Soul Mapping™ – allows anyone to discover what their life purpose is and map out the plan they designed long ago for living it, particularly through inspired business. Using this new take on an ancient art form, Lissa’s also able to reveal and track up-coming opportunities for growth and good-fortune, including options to live each opportunity to optimum win/win advantage, something that’s prompted many a client to call her a purpose-preneurial GPS. Go to The Soul Map.com to learn more. 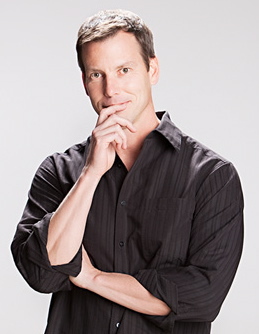 February 3rd - Lover’s Yoga with America’s Relaxation Expert - Darrin Zeer - LISTEN NOW! 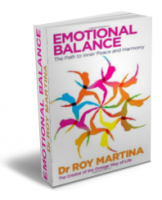 February 10th – Emotional Balance with Dr. Roy Martina – LISTEN NOW! Emotional Balance: The Path to Inner Peace and Harmony is a practical handbook through a powerful and comprehensive healing system called ‘Omega Healing’ developed by Dr Martina. This preventative system has been acknowledged as one of the most powerful healing techniques currently available. It tackles the root cause of problem—not just the symptoms— by balancing the emotional body and returning to our core essence to restore health, ease and happiness. Dr Martina has spent the last 25 years studying acupuncture and numerous holistic techniques in order to offer people a profound level of healing that work swiftly and effectively. 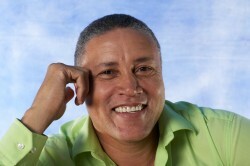 This work has put him at the leading edge of the holistic and self- help world. In this extraordinary book, he offers the reader a practical guide to understanding and working with the dynamics of unresolved emotions, self-sabotage, karma, blocks to self-healing, chakra balancing, cell-memory, emotional reversal, forgiveness, and true spirituality. It is a walk along the path to inner peace where we are able to restore lost parts of the Soul. February 17th – Working for Good with author Jeff Klein - LISTEN NOW! Accelerating Women Entrepreneurs™ and Peace Through Commerce. He has consulted for the Esalen Institute, the National Geographic Society, GlobalGiving, the Institute o f Noetic Sciences, and Peace Cereal, among others. Jeff is passionate about connecting, collaborating, and facilitating people and processes to catalyze positive individual, social, and environmental change. Jeff wrote his award-winning book, Working for Good: Making a Difference While Making a Living, to support conscious entrepreneurs, intrapreneurs, leaders, and change agents at work. He is a founding director of Conscious Capitalism, Inc., an organization dedicated to liberating the entrepreneurial spirit for good – co-founded by John Mackey, CEO of Whole Foods Market.